Casey's workshop has sold out. We'll have to get him back to Denver again soon! 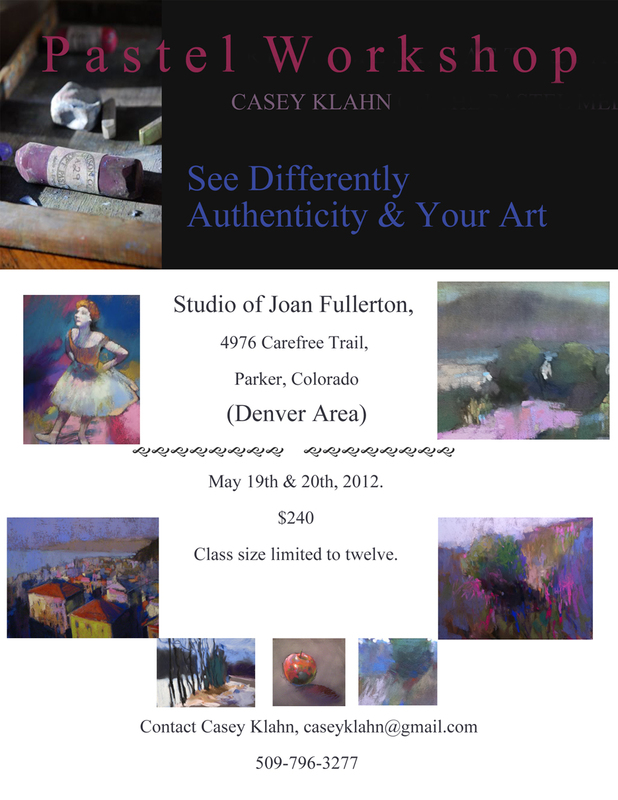 I hope you will consider attending Casey Klahn's Pastel Workshop May 19-20, 2012. To sign up for workshops contact Casey at caseyklahn (at) gmail dot com. Take some time and check out his blog to see what a truly gifted colorist and teacher does. I'll see you there! Thank you, Ken. One spot left!